Blooloop is delighted to announce a fantastic line up of speakers for the second DEAL Live by blooloop, conference to be held on Sunday March 26th at the Crowne Plaza, Dubai. 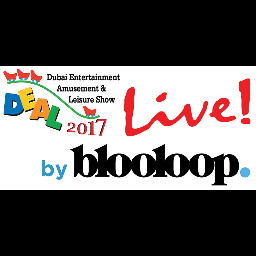 Blooloop is partnering with the Dubai Entertainment Amusement & Leisure Show (DEAL) to create another unmissable conference in Dubai, the day before the DEAL Expo. The afternoon event will be a business briefing followed by a short networking drinks reception between 1pm and 7.30pm. Our afternoon conference will look at top trends, key projects and strategic insights. Tim Husband – Technical Director of Dubai Safari & Richard Champion, Manager Zoological Services, zoOceanarium Group. Adrian Tolliday – CEO, Tolliday Group International Ltd. TGI are responsible for Project Supervision and Operational Management of the new 8000sqm Oman Aquarium – the largest Aquarium attraction in the region. Waleed Abdel-Fattah – Senior Vice President and Managing Director of Hill’s North Africa Region responsible for overseeing construction of the Grand Egyptian Museum in Giza. The conference will be followed by networking drinks between 5.30pm and 7.30pm. We are enormously grateful to our sponsors and supporters. Sponsorship opportunities available. Please email events@blooloop.com for more details. DEAL Live by blooloop is a part of UK/UAE 2017, a Year of Creative Collaboration, led by the British Council. Bio: Tolliday Group International Ltd (TGI) is a specialist aquarium, animal-based attraction and entertainments consulting & operations company. Our company offers a range of high quality animal-based leisure, adventure, entertainment, conservation and education attractions. With a team of internationally experienced professionals, TGI is capable of delivering unique leisure projects in a global marketplace. Our management team has international experience and have worked in worldwide locations, with recognition for contributions to the communities in which they have worked. Adrian Tolliday, CEO, has worked on multiple Aquarium projects, and in particular, he was Vice President for the Atlantis the Palm Aquarium, Dubai heading up the department responsible for delivery and operations of the amazing Aquarium and Lost Chambers. Adrian also spent time as Head Curator for the Dubai Aquarium found in The Dubai Mall. TGI's current assignment see's them responsible for Project Supervision and Operational Management of the new Oman Aquarium, based in Muscat, Oman. An 8000SQM facility, it will be the largest Aquarium attraction in the region. Boasting 55 exhibits that relate to the Great Seafarer, Ahmed Ibn Majid's, explorations of the seas of Oman and Asia. TGI is developing its own brand of attractions and hopes to launch the first one into the region in the coming months. Bio: Global Village is the region’s leading cultural and family entertainment destination for the last 20 years. As the Chief Executive Officer since 2013, Ahmad Hussain Bin Essa has successfully led the redevelopment of Global Village, which attracts over 5.3 million guests per season of five months each. Ahmad is the Board Member Director of IAAPA and is also the founding Board Member and Chairman of the Middle East and North Africa Leisure & Attractions Council. With more than 5 million guests every season, Global Village is a one-of-a-kind, multi-cultural festival park, showcasing different cultures from around the world, in a lively, outdoor atmosphere. A unique, one-stop-shop for shopping, dining, entertainment and funfair, Global Village takes you on a journey across the world during its season of 159 days every year. Shop the world in one place with more than 3,500 outlets across 30 pavilions that represent cultures of more than 75 countries. Indulge in the best street food experience in the region with more than 150 Restaurants, Cafes and kiosks and their international cuisines that are guaranteed to awaken to taste buds. Enjoy watching more than 12,000 cultural and entertainment shows at Global Village every season. From spectacular family shows to breathtaking stunt show, from colorful cultural shows to interactive kids shows, and with a taste of some of the finest street entertainment in the region, the entire family is guaranteed the best cultural and entertainment experience in Dubai. If fun is what you are looking for, then fun is what you will get at Fantasy Island funfair land in Global Village! Get thrilled with more than 50 rides and skill games for children, family and adrenaline seekers. Bio: Dr Kenneth Wilson is Advisor to HE Sheikh Nahayan Mubarak Al Nahayan, the Minister of Culture and Knowledge Development, United Arab Emirates (UAE). He joined the minister's office in April 2014 and advises the Ministry on knowledge development, innovation, and the role of cultural industries in economic development and prosperity. Prior to his current role he was Associate Provost, Zayed University (ZU), UAE. Dr Wilson is currently overseeing several projects within the Ministry of Culture and Knowledge Development relating to the UAE's cultural and creative industries, including the experience sector. Dr Wilson first came to the UAE in 2004 to help build research capacity at ZU as an Economics Professor in the School of Business and inaugural Director of ZU's Economic & Policy Research Unit. In the 13 years since he arrived in the UAE he has undertaken a wide range of applied economic and social research on various aspects of the UAE. Dr Wilson has spent most of his working life in higher education as an academic administrator, professor, researcher, and economic and social research capacity builder. Originally from Australia, Dr Wilson has lived and worked in the UAE, USA, UK, and Australia while also undertaking shorter assignments in China, Malaysia and Singapore. Bio: Ferrari World Abu Dhabi, the first Ferrari-branded theme park in the world opened its doors to fans in November 2010. The Park is a major tourist attraction and an iconic landmark located at the heart of Yas Island, the premium leisure and entertainment destination in the UAE. Ferrari World Abu Dhabi celebrates the spirit of the legendary marque. It is home to numerous thrill rides, family-friendly attractions, state-of-the-art simulators, entertaining live shows as well as popular seasonal festivities that bring together extraordinary performances from around the globe. The Park’s 86,000 sqm iconic red roof is home to the world's fastest roller coaster, Formula Rossa, as well as the newly-launched triple record-breaking coaster ride, Flying Aces. It also offers guests a range of Ferrari inspired family experiences that include Benno's Great Race, Karting Academy, Junior Training Camp, Driving Experience, Fiorano GT challenge, Scuderia challenge and much more. The unique experience on offer at the theme park caters to visitors of all ages in a climate-controlled environment, all year round. Ferrari World Abu Dhabi is home to the world's largest 'Ferrari Store' and the 'Past and Present Store', a replica of Enzo Ferrari's first garage. The stores offer exclusive Ferrari collectibles and racing memorabilia for visitors to take home. Visitors can also celebrate authentic Italian culinary traditions as they choose from five restaurants available at the Park including the Award-winning Mamma Rossella, making it the only place outside Maranello to experience the true Ferrari story. The Park is managed and operated by Farah Experiences LLC, which was established in 2008 to provide world-class entertainment experiences on Yas Island. Bio: Based in Dubai, Team Leisure is a specialist leisure consultancy practice that was established to bring together a unique team of experts and leisure professionals that has the track record and the vision to conceive, consult on, project manage, set up and operate successful leisure businesses worldwide. Founded by Phil Taylor in 2007, Team Leisure brings a wealth of experience in creating and operating leisure attractions that have been innovative, daring and outstandingly successful. Phil counts Port Aventura Theme Park (Spain), The London Eye and Ski Dubai as just three of the leisure projects in which he has had a leading role. Team Leisure is one of those rare leisure-consulting businesses that offers a complete range of services. The diverse backgrounds and disciplines of our staff and Associates allow us to advise on all types of leisure facility, large or small. Team Leisure's projects have won many awards. These include the Magic Planet family entertainment centre in The Avenues shopping mall in Kuwait winning a Top International Family Entertainment Centre award and Little Explorers at Mirdif City Centre winning the Time Out Dubai Best Kids Edutainment Venue Award in 2014 & 2015. Since Team Leisure's inception we've been involved in studies, concept development, project management and operation of 14 new attractions that are now operating and over 80 other land use, feasibility, country and concept studies for the Middle East and elsewhere. Irrespective of our various backgrounds, we are entrepreneurs by nature, we are insightful, innovative and creative with our finger firmly on the pulse of the leisure industry and a deep passion for creating and operating successful leisure and entertainment businesses. Bio: Philip has over 20 years of experience advising governments, companies and financiers on commercial, operational and technology risks and opportunities of their growth strategies and transactions including working throughout Europe and the Middle East for owners, operators and investors. He has recently been involved with many of the new leisure developments in the region and been at the fore front of the planning for new theme parks in Dubai. Bio: zoOceanarium Group is a company specializing in the development and ongoing operations of animal related attractions including public aquariums, zoological parks, dolphinariums and animal-based science centers. With staff and projects literally located all over the globe, zoOceanarium Group is one of the largest companies in the world specializing in both the development and operations of animal attractions. The company's newest project is located in Dubai; a 30-meter-tall, temperature and humidity controlled bio-dome that is a re-creation of the Amazonian tropical rainforest. Focusing on research and education, this facility is the first of its kind in the Middle East. Bio: Colliers International is the world's third largest commercial real estate advisory organisation with 17,000 professionals and over 500 offices in 67 countries including Dubai, Abu Dhabi, Doha, Riyadh and Jeddah. Seán Young is Founding Director and Head of the Destination Development Consulting Team at Colliers. His team works with the owners, managers and developers of destinations ranging from regions, cities and mixed-use developments through to artistic and cultural attractions, leisure parks, resorts, and event and sport venues. Informed by research, international best practice and experience, they offer services at every stage of the project lifecycle - from defining the vision, objectives, concept and product mix; through to location assessment, market forecasts, business planning, options appraisal and feasibility; to investor and operator procurement, management, marketing and operations. 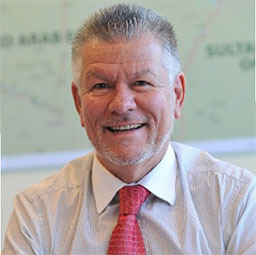 Seán has over 20 years of destination development experience and has worked on a large number of projects in the Middle East including all three Saadiyatt Island Museums, Mall of the World, Dubai Parks and Resorts, King Abdulaziz Centre for World Culture, Mishkat Science Centre, KAEC Leisure Lagoon District, Misk Museum, Jubail Waterpark, Qatar Zoo and Ayla Resort. 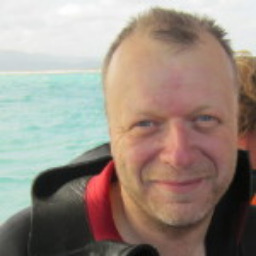 Bio: With over 35 years experience in developing and managing zoos worldwide, Tim Husband has worked at zoos including Taronga, The National Zoo and Aquarium and most recently the Bali Safari and Marine Park. As Technical Director of the $272 million (AED1 billion) Dubai Safari Park, he is in charge of the overall running and building of the Dubai Safari. The safari, which replaces the existing zoo in Jumeirah, is expected to open later this year and covers an area of 119 hectares. It will be home to 1,000 animal species, of which over 350 will be rare and endangered. The safari is situated on a former construction waste landfill that was levelled and reclaimed to provide a suitable site. The facility will also be home to rescue animals that cannot be returned to the wild and a conservation centre which will support field research and educational activities. It will host a breeding programme at the conservation centre that aims to release animals into the wild each year. Species in the programme will include caracal, the Arabian tahr – a mountain goat – oryx and gazelles. Dubai safari will also become one of the world’s largest ‘frozen zoos’. It will have a state-of-the-art laboratory that will store sperm, tissue samples and embryos of endangered species in liquid nitrogen. The cryopreservation of genetic materials will be done in sub-zero temperatures. The preserved sperm will be provided to other zoos as well for animal reproduction programmes such as artificial insemination. Bio: Waleed Abdel-Fattah, Senior Vice President and Managing Director of Hill's North Africa Region, has more than 20 years of experience overseeing construction of iconic, complex projects such as the Grand Egyptian Museum in Giza. Hill employs more than 4,300 professionals in 100 offices worldwide, provides program management, project management, construction management, construction claims and other consulting services primarily to the buildings, transportation, environmental, energy and industrial markets. Bio: Yael is a founding partner of Leisure Development Partners (LDP), a specialised consulting practice focused on the worldwide visitor attraction and leisure industry. LDP focuses on market and economic testing for both new projects and existing operations, providing services to the development, investment and operations communities. Prior to founding LDP, Yael was a Director at ERA based in Los Angeles, Washington DC, and London. During her 20 years consulting in the industry, Yael has completed projects in over 60 countries, throughout Europe, the Middle East, the Americas, and Asia. 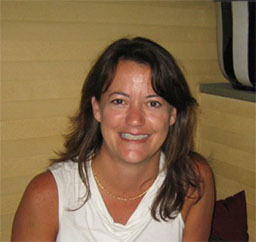 Throughout her career, Yael's experience includes projects around the globe such as theme and waterpark, attraction, museum and themed entertainment resort feasibility, due diligence for sales and acquisitions, economic impact, improvement and development strategy, sports and entertainment venue appraisal, mixed-use development strategy, operator and investor solicitation and several expert witness appearances. Yael has worked with many of the major players in worldwide attractions operations, including Six Flags, Fox Studios, SeaWorld, Universal, Parques Reunidos, Dreamworks, Disney, Warner Bros, and KidZania, as well as many museums, corporate brand centres, investment groups, developers and public sector organizations. Given her broad international experience, she brings global perspective to every project. Yael has an MBA in international business from the Thunderbird School of Global Management and a BA in Economics & Political Science from Yale University and is fluent in both French and Spanish. 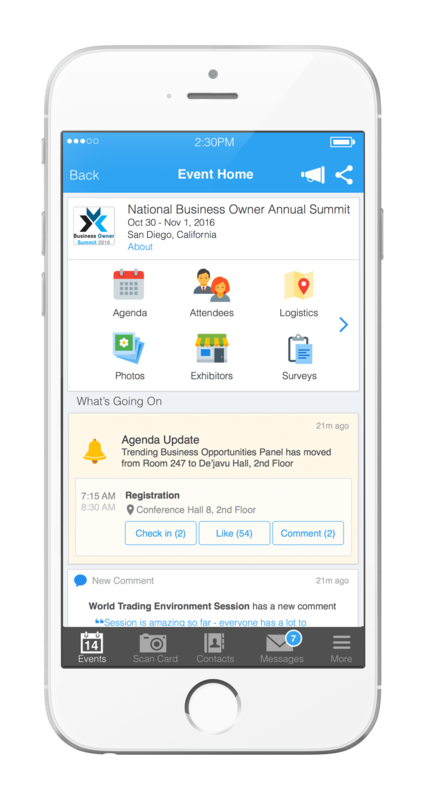 Attendees please download Whova event app, to access the information of all 14 speakers.